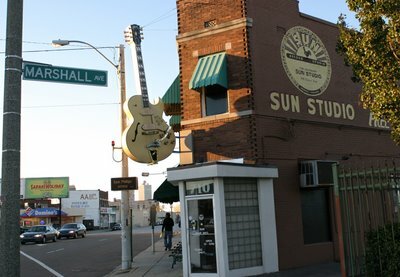 Sun Studio in Memphis, Tenn. is infamous and amazing! Legends have recorded at Sun Studio since the 1950s. Elvis, Jerry Lee Lewis, Johnny Cash, even U2! The tour itself is not that fascinating unless you are a true devotee of the sound but the pure Rockabilly kitsch value is there for those who are only it for the sights. It’s a pretty great experience either way.